The name that you want to give your activity. This will appear on the dashboard and on the Action bar. It can be whatever you want but should describe what it is. This is where you can select the icon that will be used to represent this activity on the dashboard. Click the 'Browse' button to select and image file. Your Facebook page name. 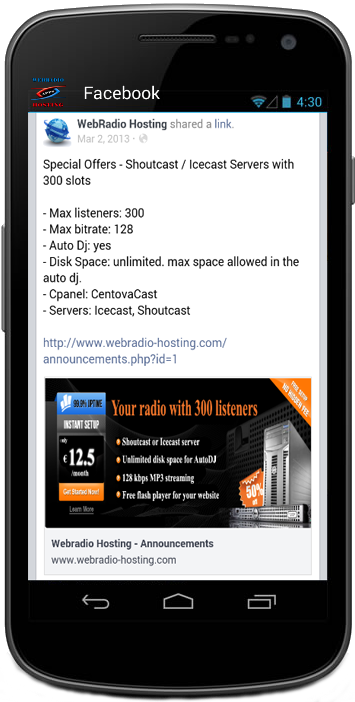 This value should only be the part that comes after http://www.facebook.com/', not the full URL. 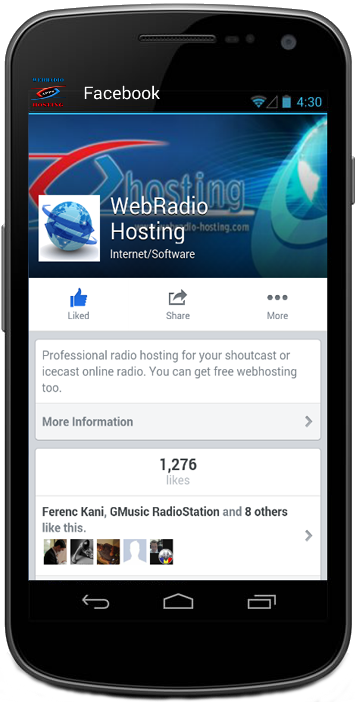 For example, you could enter 'radiohostingpro' here to add our Facebook page to your app.